The Kansas Creative Arts Industries Commission (CAIC) has awarded $350,000 in grants for nine projects. 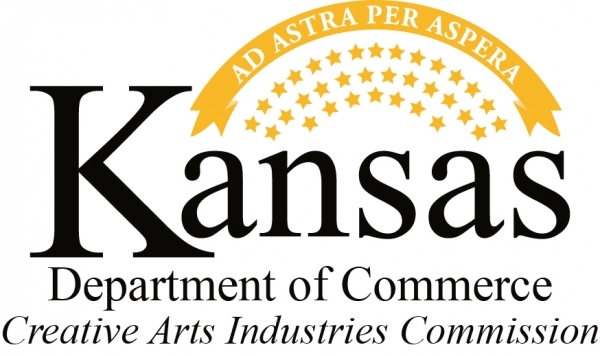 The projects chosen for funding will rely upon partnerships between arts, economic development and government organizations in order to promote the arts and economic growth in Kansas. Grantees were selected by the CAIC through an application and review process. The selection process included a review by an independent panel consisting of arts and economic development professionals. InterUrban ArtHouse formed to create sustainable and affordable space for artists, creative industries and arts organizations. This will be achieved by combining anchor tenants in the arts, retail space and event space to offer below market-rate studio space for creative entrepreneurs. The project will revitalize the historic downtown, while improving walkability, quality of life and the value of the surrounding area. InterUrban ArtHouse has been funded the maximum award by the National Endowment for the Arts through its 2012-2013 NEA Our Town Grant. This makes the project a national pilot as part of the national Creative Placemaking initiative. Partners: Kansas Department of Health and Environment BrownFields Program and Green Schools Grant; Arts Council of Johnson County; Shawnee Mission School District and PTA; Kansas Small Business Development Center; Kauffman Foundation and UMKC Urban Planning Department; ArtistINC; Art & Recreation Foundation of Overland Park; city of Overland Park; Francis Family Foundation. Gray’s Studio Restoration is a non-profit corporation located in rural Stafford county dedicated to restoring the historic Gray’s Studio building and enhancing the quality of life in rural Kansas. The restored building will serve as an incubator for developing artists and provide cultural and arts programming for St. John and surrounding areas. The building has studio space, gallery space and living quarters, which will be provided rent-free to budding artists. In exchange, those artists will assist in hosting art-related educational and enhancement programs for the public. They will also work with a gallery displaying and selling their art, as well as art from other sources. A 10-day Astra Arts Festival (ASTRA) will take place during July 2014 in Independence and will promote economic development, aid community revitalization, engage local and regional residents and attract cultural tourism. ASTRA is a collaborative project with area cultural, historic, governmental and economic organizations contributing expertise and resources. ASTRA will feature theatre, music and visual and literary exhibitions that will provide opportunities for regional artists to perform and display their work, educational presentations and participatory activities for patrons of all ages to create and engage in artistic expression. Theatre Lawrence and its partners will equip and furnish a new 35,000 square foot theatre and education facility in the northwest region of Kansas. The new facility will replace the organization’s current site with one that offers doubled seating capacity, an educational wing and increased production and storage space. Sound and video equipment, microphones, lighting instruments, a loop hearing system, shop tools, stage curtains, window treatments, a security system, signage, furnishings and office equipment are needed for use in productions and for youth and senior programming. The city of Waterville and its partners will restore an opera house to keep it in continued use as a community theater and heritage-tourism attraction. The enhanced theater plans to attract new visitors to Marshall County by providing a state-of-the-art local venue for arts and culture in rural Kansas. The Goodland Arts Council and its partners will create a permanent art exhibit in Chambers Park and organize seasonal festivities at the park from July through October. This project expands upon the formation of a permanent outdoor city-wide art gallery proposed by the city’s Beautification Committee, formed 5 years ago with the goal of beautifying and revitalizing the Goodland community through the arts. Newton Area Arts Council member organizations will host a coordinated month-long celebration of the arts in Harvey County, during March and April 2014. The primary goals of the “Spring Into the Arts Festival” are to stimulate the economy of Harvey County and strengthen Harvey County arts organizations through the creation of an annual arts festival that will serve as the centerpiece for a regional cultural branding effort. Garden City Arts will organize a series of events around the traditional Mexican holiday of Día de los Muertos in order to celebrate Garden City’s diversity. The festival’s focal point will be the arts as well as partnerships with organizations in the community to share the region’s history. The goal is to provide music and dance performances, a writer’s workshop, art and historical exhibits and a diversity panel that will enrich lives, encourage the arts and provide a powerful new tourism draw for the community. The Topeka Mural Project will install public artwork in targeted areas that are currently experiencing high crime rates. Based on extensive national data and local experience, this project has the potential to reduce crime, increase the viability of local business, revitalize targeted areas of the city and increase the capacity of the community to draw cultural tourists. Partners: The Topeka Police Department; Safe Streets; Downtown Topeka Inc.